Great Dane??? that's no Dane that's an English Mastiff. and I love it. That looks like a Dane to me. Do remember that the English Mastiff was one of the breeds they used to make the Great Dane. I love both the breeds and would get one (or more) any day if life's pattern allowed it. Although the name is GreatDaneChronicles, I don't think all of the dogs are necessarily Great Danes. One of the galleries on the website is called, "Little Kids and their Big Dogs." And, that certainly is a Big Dog! Another relatively warm February day. A trip to Onset, MA. We'll call it the tip of Cape Cod. Small quaint, quiet beach. The simple things in life soothe my soul. A walk on the beach in February, some sand, water, a shell and a reflection. Nice! You're always out and about. We try, Patricia! Now that Rick is retired he has more time to do "stuff" during the week, and is willing to head out with me. If it's not too cold (or hot) we find somewhere to walk, get some exercise, and my camera is always at the ready. 3.1 miles today and that was after my turbo kick class. That's what I'm shooting for in retirement. Simply being out and about more. Too many years stuck in an office. Lots of weekends helping out with grandkids. I'm glad I was able to do that, but it's nice to have time to do what I/we want to do. It's going to be chilly tomorrow. He's making a stew, I may bundle up and go out "duck hunting" again with a Y friend. 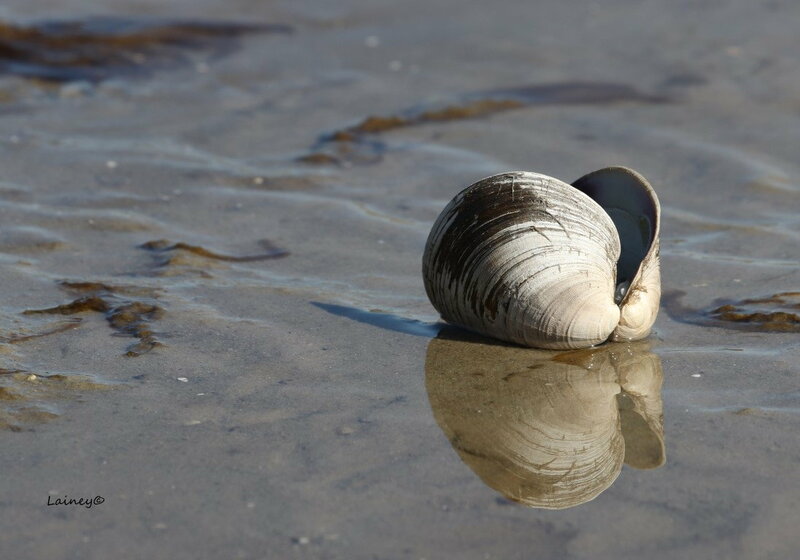 A great clam photo with a lot of detail and great reflection, Lainey!! Went to the Garden of the Gods in Colorado Springs this morning, While there I visited a historic ranch (the Rock Ledge Ranch) near the entry of the park and then walked its trails for several miles. Here are two photos from my outing. 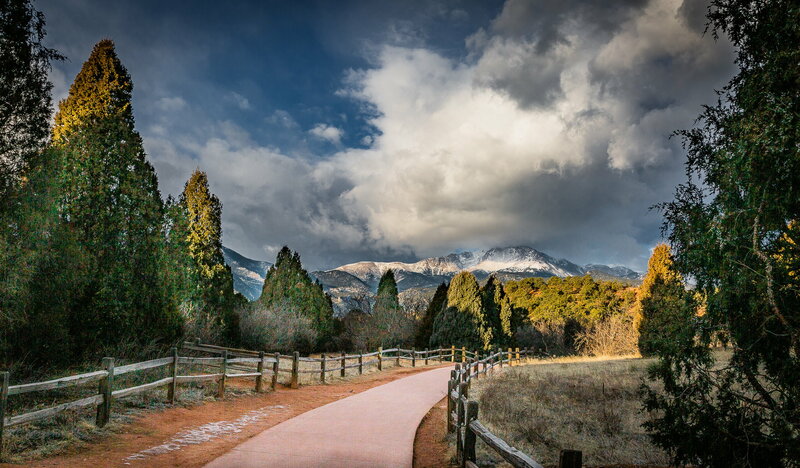 Walking the path to Pikes Peak. 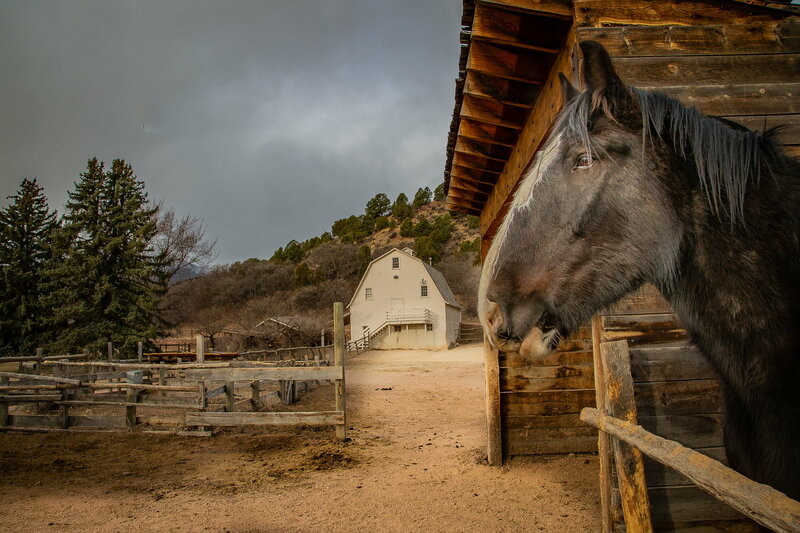 The Historic Rock Ledge Ranch's barn , just outside of the entrance of the Garden of the Gods. <----- the black muzzle is the giveaway of a mastiff. Danes and Mastiffs along with Neapolitan, cane corsos, and St Bernards are all referred to as Molessers. Mastiffs have those stockier shoulders more than the Danes which are leaner. Danes also don;t have as much floppy skin. 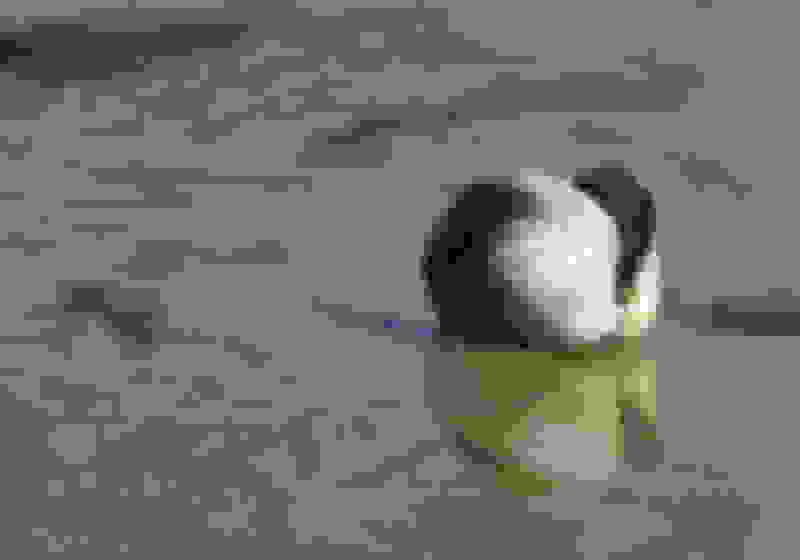 Thanks, and Gary, those shots are beautiful! Gary, do you touch up your photos somehow to get the crispness, color and detail that is so unusual? Or do you have a half million dollar camera? They are beautiful shots; your photos are always so different.